The small bungalow park 'La Perla di Sicilia' is situated next to a sandy beach, on one of the most beautiful coastlines in Sicily. The center of town, shopping, restaurants, bar and 'gelaterias' are only a few minutes´ walk away. The bungalow (app. 70 sq. meters) is completely furnished and include 2 bedrooms, a dining-area with kitchen, shower, WC with bidet, and air conditioner. In all our bungalows are available a small TV with many international speaking programs. There is also a patio and a parking space free of charge outside the bungalow park. 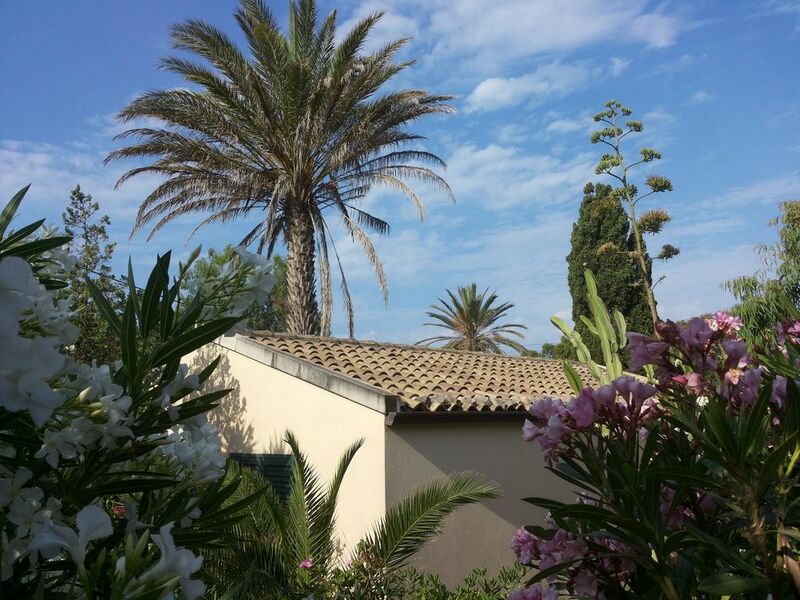 The bungalow is surrounded by beautiful oleander-, lemon-, orange- and fig trees, as well as small and big palm trees. The air conditioner on request can be use for 5 euros each day. To get to all the interesting cities and archaeological sites in the area we advise you to rent a car. If you wish we will get a rental for you. Barbecue, cot and animals (on request). Deck-Chairs, sunshades, TV, bicycles, air condition, internet connection and washer (on request and against charge). The use of the air condition amount 5€ per day. Bed linen and towels can be hired for 1€ per day and person. Marina di Modica is due to the southern corner of Sicily directly at the sea, between Sampieri and Pozzallo. The shore of the place forms a large bay with its golden yellow sand and is surrounded from numerous dunes. Marina di Modica offers the ideal holiday for families, older and young public people too.